I saw this picture on Facebook and couldn’t resist borrowing it for this blog post. 2013 is just hours away…I missed posting last week because it was Christmas Eve and I just had too much crazy family stuff going on. Still, I wanted to post at least one holiday-themed Monday Muse post, since this is one of my favorite times of year. 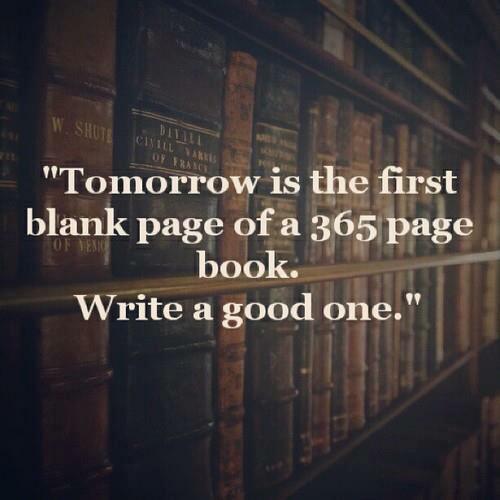 There’s something poignantly beautiful about the thought of saying goodbye to yet another year. And there’s something wonderfully exciting about knowing that a new year is just around the corner…especially if the old year hasn’t been exceptionally kind to you. 2012 has seen so many ups and downs for me and my family. I’m hoping that 2013 will bring more of the ups than the downs. But then I wonder: What would my life be like without the ups AND the downs? Pretty boring, right? That’s what makes fiction so thrilling—the conflicts and the resolutions…and then there is always more conflict to work through until the final, hopefully satisfying, conflict resolution. So, since my mind started drifting toward writing (as it often does), I naturally started thinking about that most dreaded of things (at least I dread it the most)—THE FIRST LINE. 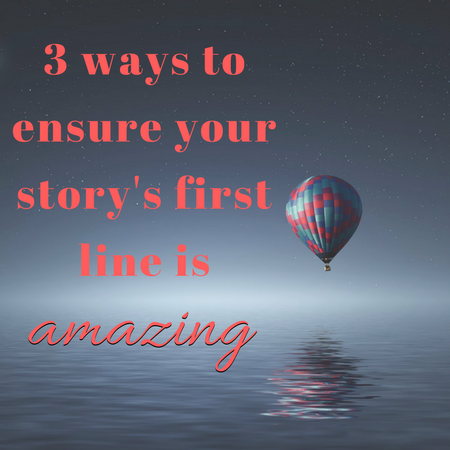 In fiction, your first line can make or break your story. It can either keep a reader intrigued enough to continue reading until the end, or it can bore your readers to death and make them close your book up, never to open it again. What makes a good first line? There are a few simple rules that can help you on your journey toward first sentence greatness. Set the tone of your entire novel in that one string of words. Bring up questions in the reader’s mind and keep them guessing. The shock factor goes a long way in ensuring your first sentence’s success. I thought about providing my own examples of how each of these rules might apply to your own writing, but then I thought–what better way to show you these rules than to take examples of first lines from books that I have on my own shelf…books that I have enjoyed reading myself. Here are four amazing first lines from books I (more or less) randomly picked off of my shelf. Notice how they make you feel when you’re reading them. Do you see how they set the tone for the entire novel? Can you imagine how the rest of the story is going to go? Do you even care? Do these sentences make you wonder what could happen to the characters introduced in them? How shocking (or not) do you think they are? I found the last one especially shocking! Go back and pick up your latest story or novel–whatever you happen to be working on at the moment–and see if you’ve done one or more of these things with your own first sentences. If you haven’t, try to figure out a way to incorporate some surprise, mystery, or atmosphere into it. Don’t have a WIP? Then why don’t you consider starting one? Write a first line–the first thing that comes into your head. Then take that sentence and perfect it, using the above guidelines. After that’s done, you should have a pretty good idea of where you want the story to go. If you don’t, then just scrap that idea and try to come up with another. That’s the beauty of writing. You, as the author, are in control (at least to a certain extent). Exercise that control, and make this the year of spectacular beginnings…first sentences, characters, and stories that won’t easily be forgotten. Next What the Heck Is a Cryptogram?